The Black Student Network (BSN) at Teachers College, Columbia University with the support of the Vice Presidents Office for Diversity and Community Affairs is excited to announce our 10th Annual Diversity in Research and Practice Conference. We look forward to having you join us and our distinguished scholars while we explore this year’s theme — “Afrofuturism: Redefining and Reimagining Futures“. This year, our sessions consist of paper presentations, multimodal presentations, poster sessions and engaging workshops. The sessions will cover topics such as Critical Afrofuturist designs, the intersection between Race, Power and Comics, the Black Speculative Arts Movement, and many more. 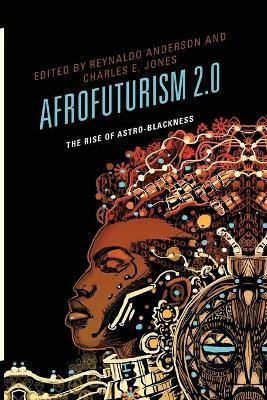 Our keynote speaker will be Reynaldo Anderson, afrofuturist scholar and author of Afrofuturism 2.0: The Rise of Astro-Blackness. Please join us in reimagining our futures on Saturday April 27th,2019 at Teacher’s College, Columbia University 525 West, 120th street (Entrance through Zankel Hall). Conference registration is required but the event is FREE and open to all. REGISTER NOW! !